This grand Victorian country house hotel overlooks the soft tranquil waters of Bentley Brook, and is within walking distance of the popular historical market town of Ashbourne. 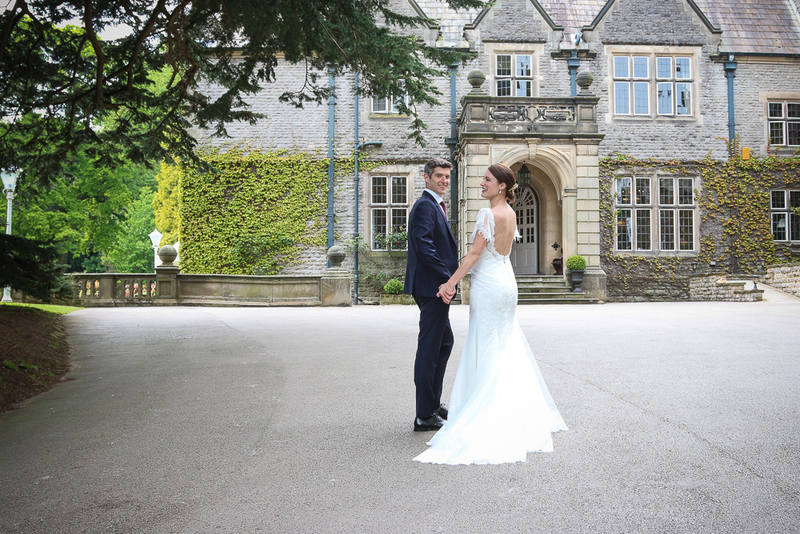 It truly is a stunning venue for your wedding or civil partnership, and boasts a multitude of serene views across acres of carefully preserved gardens and woodland. Callow Hall is also situated on the hinterland of the dramatic Peak District National Park, which is one of the most beautiful locations in the entire British Isles. Callow Hall caters for all sizes of weddings and civil partnerships and the marquee is ideal for the larger variety. Exceptional views across the rolling Derbyshire countryside can be savoured from this vantage point, and photograph opportunities are virtually endless. From the sublimely picturesque secret garden, to the magical grand doorway, as a wedding photographer I always feel spoiled for choice! The secret garden itself is a wonderful location for welcome drinks and canapés when the sun is shining. This is also a perfect time for a string quartet to provide some enchanting music, or for an entertainer such as a close-up magician to mingle with and amaze your guests. Such additions to your wedding day will always provide me with exciting opportunities to capture a unique array of shots. I am always very impressed with the dedication and commitment of the events team at Callow Hall every time I photograph a wedding in this part of Derbyshire. This truly is one of my favourite venues in the Midlands area.